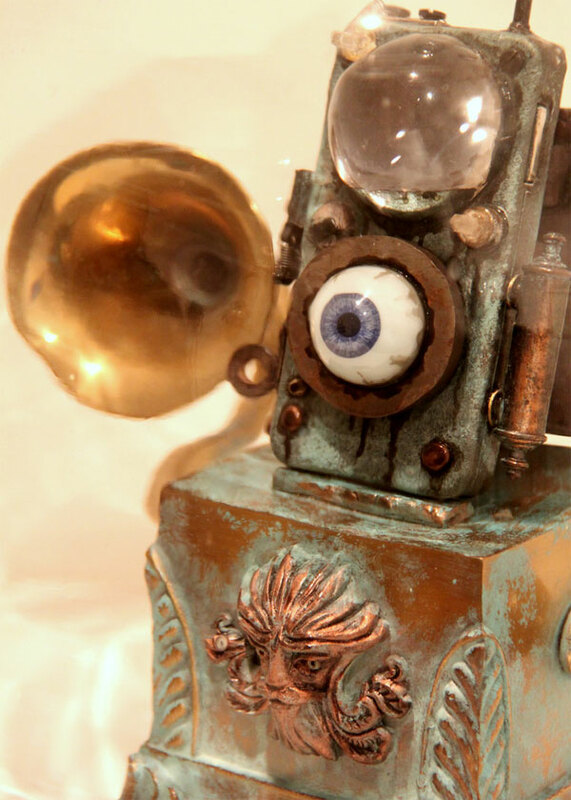 Coming via technabob, the Frankenstein-inspired Eye-Pod is a fully functional 1st generation ipod nano which can be worn by a leather wrist strap or mounted on its speaker base, complete with its own Victrola horn. A retractable USB cord is hidden away in the base and you can choose tracks by manipulating its optic-control. Dr Grymm’s Eye-Pod is currently on display at the Oxford History of Science Museum’s Steampunk exhibition, running until 21 February 2010. Dr Grymm himself is a man of twisted genius, his creations are a marvelously macabre mix of horror and Victoriana. I particularly love his Edgar Allan Poe Nightmare Inducer. What every iPhone needs… a corset?